The very representative flavour of warm and sweet Christmas comes from the tropics. Yes, “True Cinnamon” is native to Sri Lanka, formerly known as Ceylon, and the south-eastern coast of India. 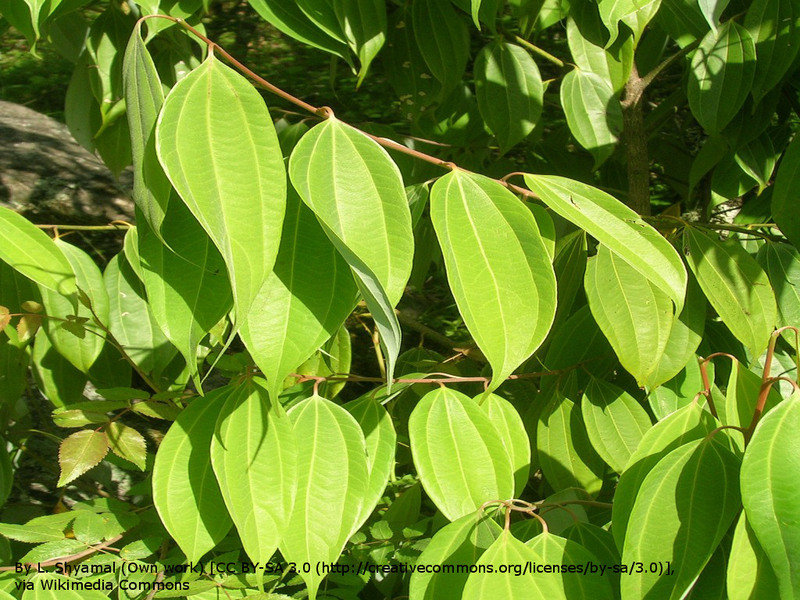 True cinnamon most used species as spice is Cinnamomum verum, a robust evergreen tree that grow up to 20 – 30 feet tall, with inconspicuous whitish flowers that evolve to blue berries. In order to protect themselves from predators young leaves assume reddish colour that later become greener and darker. Long used because its seductive sweet and spicy taste and smell, cinnamon may help to do more than a wonderful meal or drink. In fact, cinnamon has been suggested as an alternative therapy for conditions such us oxidative stress, insulin resistance, glucose transport, inflammation, cancer, and Alzheimer’s disease (Sharma et al, 2015, Visweswara et al, 2014). Cinnamon bark contains essential oils, resinous compounds, cinnamate, cinnamic acid and cinnamaldehyde, which are some of the powerful compounds that give cinnamon its unique characteristics. Thanks to its properties, cinnamon may be a fantastic additive in your beauty treatment and disease fighter. Cinnamaldehyde present in cinnamon absorbs oxygen as it ages which make cinnamon pungent in taste and responsible for its scent (Sharma et al 2015). This helps to prevent the damage from free radicals and therefore of damaging your cells. Maybe this is the trick to save some money on those votox injections! Just what we need after those abundant Christmas meals. 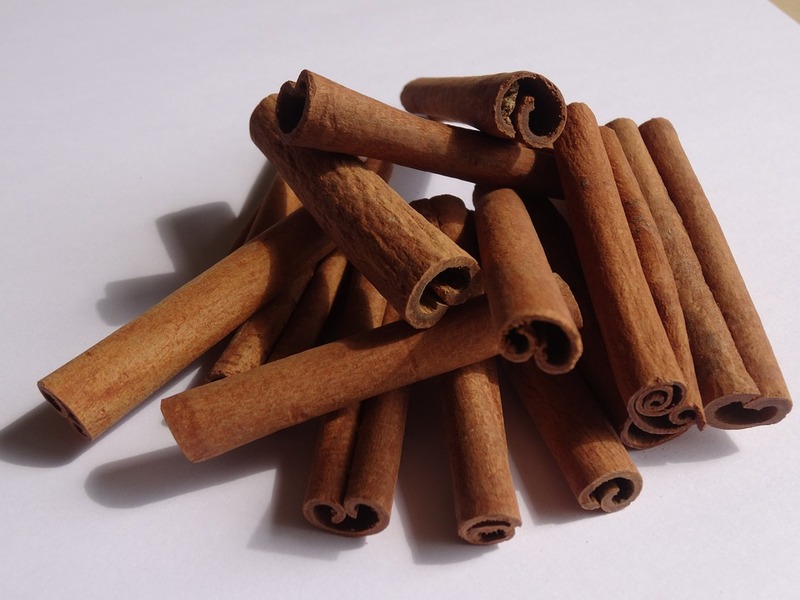 Cinnamon is a warming aromatic tonic that stimulates the digestive system and can help reduce cholesterol and blood sugar levels, helping therefore to diabetes sufferers. Only two teaspoons of the spice have shown to help people without medication. It achieves this effect by delaying emptying of the stomach content after a meal, preventing blood sugar peaks. What about getting some help with your brain? 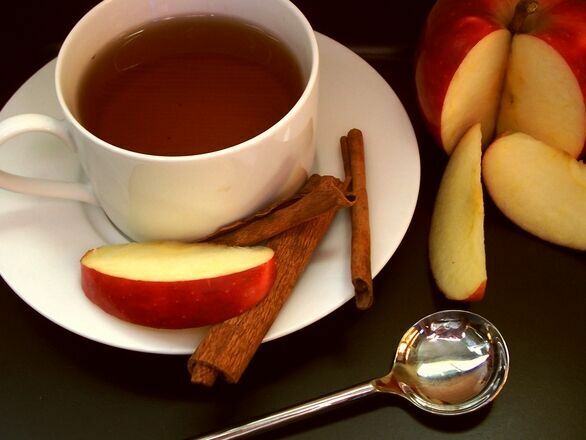 Cinnamon can have a beneficial effect on cognitive function. It was shown that people who used Cinnamon prior to test situations performed better than the control group, as well as processing new information better. Did you have some food leftovers after your party? Cinnamon has powerful anti-microbial and anti-fungal properties. It helps to preserve food and can be used in place of common food preservatives. It not only helps to prevent food spoilage by common bacteria, but also by yeasts. Other functions of cinnamon are preventing inflammation, is a coagulant and prevents bleeding, and even some of its compounds may play role in preventing cancer by blocking vascular endothelial growth factor, the molecule that plays an important role in tumour progression (Sharma et al. 2015, Visweswara et al., 2014). And if this was little, cinnamon is also a source of manganese, calcium, iron, and fibre important for brain functioning, healthy bones and of course, improved digestive capacities (very much needed in this holiday season). Production increases and bark thickens over time–improving the concentration of volatile oils and giving cinnamon a richer, more intense flavour. Cinnamon forests may grow naturally, without the aid of agrochemicals, and are intercropped with other trees. In Indonesia, harvesters say they prefer to work on Rainforest Alliance Certified cinnamon plots because they are paid 9 percent more per kg harvested on this land. 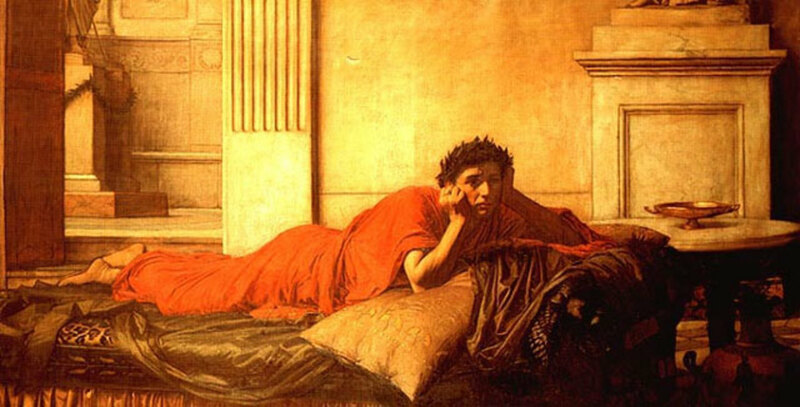 Emperor Nero felt so remorseful over murdering his wife that he burned a year’s worth of cinnamon on her funeral pyre.